Erie-native artist Liss Victory is returning home to release a record the she says is a love letter, of sorts, to her new home city of Pittsburgh. Erie-native artist Liss Victory is returning home to release a record that she says is a love letter, of sorts, to her new home city of Pittsburgh. 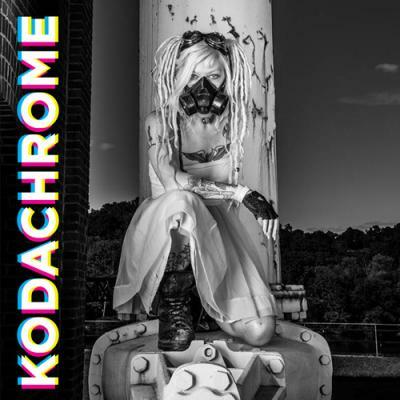 The album, Kodachrome, "wouldn't exist without the people I've met [there]," she said recently. The result of the 'Burgh-inspired project is a limited edition, 7-inch vinyl record of new, original Victory songs, recorded and mastered at Pittsburgh's Electric Eye Recorders and Treelady Studios, respectively. Victory, her new album, and her band, The Graveyard Orchestra, come to the King's Rook Club on Saturday, May 16 from 10 p.m. to 2 a.m. to officially release the record, and rock the house with both Victory solo-acoustic and electrified full-band sets. She'll be joined for the evening's free show by local friends Andi Wondersound, Chet Atkins, and Matt (Broke) Boland.